Florida’s “Dr. Love”, a fake teenager practitioner, subjected to 12 felony charges for posing as a doctor, has now been arrested again, for the third time in the past six months. He is now facing charges of grand theft and writing a bad check. Malachi Love-Robinson, 19, has been placed at Palm Beach County Jail. He was taken into custody at a courtroom following a brief hearing on Monday. He has been released on $8,000 bail. The new accusations have added to Love-Robinson’s existing 12 felony charges. Combined, they are punishable by up to 90 years behind bars: A potential 70 years for the initial charges and a further possible 20 for grand theft and writing a bad check. “Dr. Love” was arrested for the first time on February 16 this year and for the second time two weeks after, on March 1. 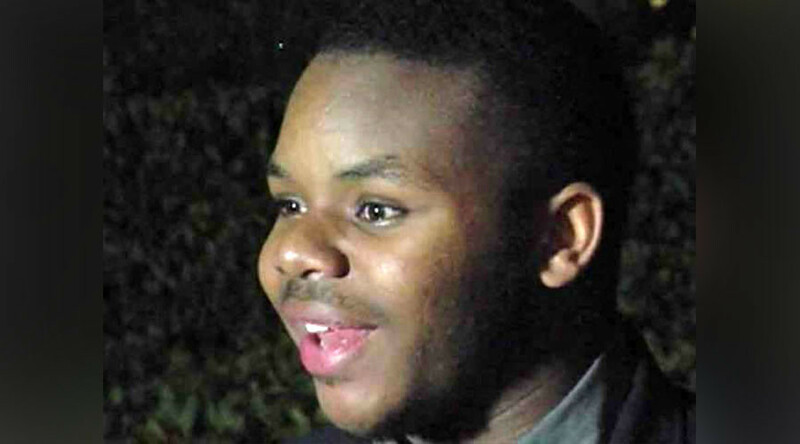 The teenager was set free on an $18,000 bail. He has been charged with two counts of practicing medicine without a license; two counts of practice of naturopathy without a license; three counts of forgery; two counts of grand theft from a person 65 or older; and three counts of fraudulent use of personal identification information. In February investigators raided his New Birth New Life Medical Center & Urgent Care “holistic clinic” after receiving a complaint. Prior to his arrest “Dr. Love” treated an undercover police officer, who presented with a sore throat, lethargy and sneezing. The fake doctor ran a routine check before diagnosing the cop with allergies. However, he told her that he could not prescribe antibiotics because he practices homeopathic medicine. 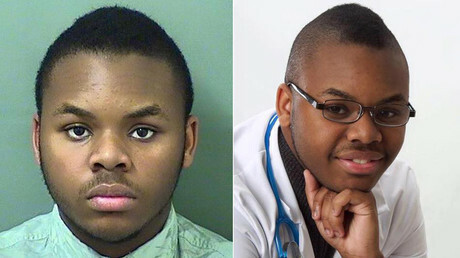 His March arrest came shortly after that and after making house calls while posing as a doctor. According to the investigation, he charged an elderly woman $3,494 for treating stomach pain after making five house visits. The woman contacted him online, believing him to be a doctor. Love-Robinson was also accused of emptying the woman’s bank account after he called an ambulance for her, telling the “patient” to leave her purse behind. Checks were also forged from her account. He is also accused of peering in on gynecology exams after posing as a doctor in January 2015. Details of the new grand theft charge were immediately unavailable, but it appears to stem from an October13 offense, Sun Sentinel reported. There has been no indication that it could be related to “Dr. Love’s” initial citation, but it does correspond with the same month. In October 2015, months before his first arrest in February 2016, the state health department cited Love-Robinson for practicing medicine without a license. The second of his additional charges – writing a bad check – is related to May, 23 of 2015, when “Dr.Love” placed a $1,500 down payment for his car to West Palm Nissan. This is the second time that the teenage “doctor” has fallen into trouble over a worthless check that he wrote. In July last year he was sued by Grieco Mazda in Delray Beach. The car dealership, where “Dr. Love” purchased his 2016 Mazda car, was seeking roughly $7,200 in damages and interest. The lawsuit filed at Palm Beach County Civil Court claimed that Love-Robinson gave a salesman a Wells Fargo check for $1,800 as a down payment for the $27,000 car. The payment bounced back with the bank claiming that the account was closed. According to Sun Sentinel, Love-Robinson wrote a response calling himself “a human being that made a mistake”. He still lost the suit in April 2016. The two additional charges were not the only blow to his case “Dr. Love” suffered on Monday. On top of that, his lawyer Leonard Feuer also requested Judge Krista Marx to let him quit the case and appoint the public defender's office to represent Love-Robinson. Feuer reasoned his decision citing a an ethical dilemma, but shared no details about it. Love-Robinson is scheduled to appear in court next for an October 5 hearing with his new lawyer. For now, his trial remains set to start November 7, Sun Sentinel reported.